I'm so excited to be featured in the first ever issue of 'Sew Eco' magazine! Pouch is listed in the 'Gallery of Inspiration' section at the front of the publication. 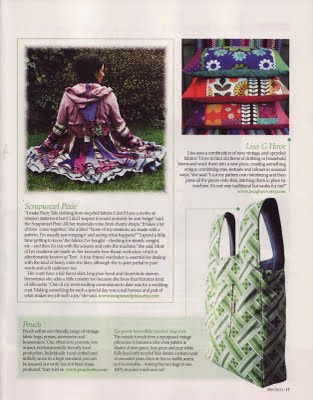 They have included a lovely big image of the 'go green reversible market day tote', I think it looks fab!